What a wonderful find. The lights and details of the shop windows are incredible, Jeff. Well done.BV!!! The very close focus really puts me right at the doorstep. Think I'll hop in and pick up a Coke. What great light and wonderful in monochrome!!! Wow!! fantastic capture and treatment. Great shot with this detail, tones and high contrast. "V"
Fantastic night image of this market superbly captured. What a wonderful display - I like it in bw! This is wonderful in B&W, Jeff. Great work. Wonderful shot. Amazing subject, so professionally photographed. A superb B&W street scene ! V.
This is so cool! I think you surprised the fellow that was snacking..
Looks like a beacon in the night! 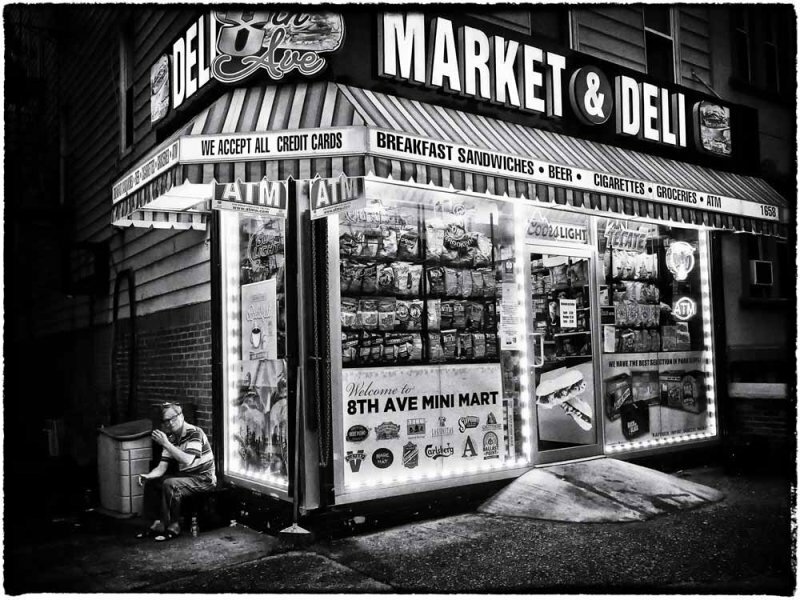 Great capture of this mini mart with super light. V.